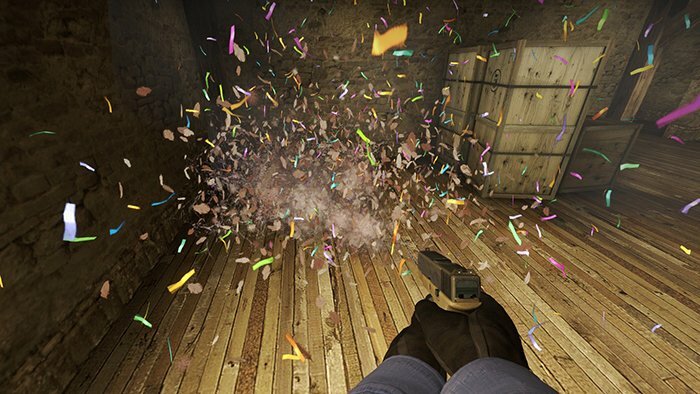 If you’re a relatively new CS:GO player who’s unfamiliar with operations, then the contents of the one gigabyte update that recently came out might be a mystery to you. Well have no fear, I’m here to explain everything that’s new in Operation Wildfire and how you can best enjoy all the new content. But remember, the best way to enjoy CS:GO, or any game for that matter, is to do what makes you happy, so think of these pointers more as guidelines than rules or instructions. First Things First, Do I Have to Pay? Nope! This isn’t like an MMO expansion where you have to pony up in order to enjoy any of the new content. Obviously there will be things that only come to those who pay, but I’ll make sure to denote what is free of charge, and what will require purchase of the operation. Enjoy the New Maps, For Free! Perhaps you’ve grown tired of the current active duty map pool. I can understand why, going through the same competitive rotation of Dust II, Mirage, and Cache with maps like Inferno, Cobblestone and Train sprinkled in once in a full moon. But now, you can enjoy a brand new collection of maps created by some of the best mapmakers from the CS:GO community. There’s a handful of new bomb defusal maps including Coast, Empire, Mikla, Royal, Tulip (shown below), and my personal current favorite, Sanitori. There’s also a new hostage rescue map called Cruise. And these aren’t mundane maps that are thrown together in a few days. These are professionally designed maps crafted by experts that have been working on these things for years. 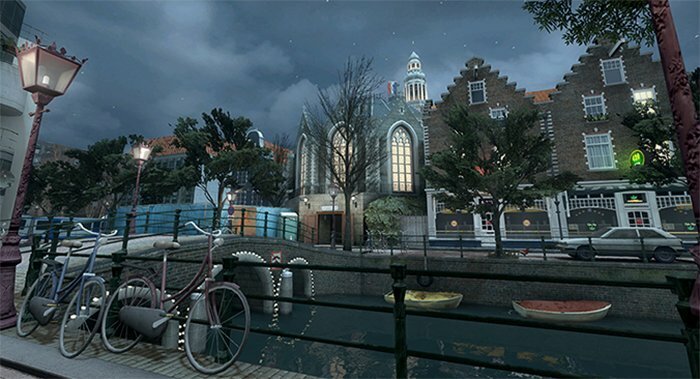 Some of the maps in the current active duty pool were community maps that debuted in a previous operation, such as Cache, and maps from previous operations have been requested to be added into the current active pool, such as Season and Zoo. 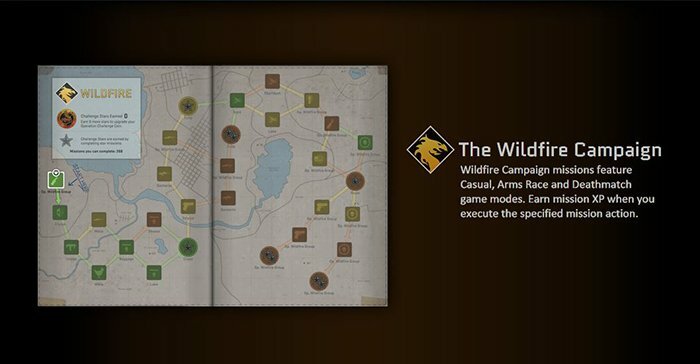 Perhaps one of the Wildfire maps will make it into the active pool, and we’ll see premier teams competing on it on a major stage. Return to a Remade Classic, Nuke! Nuke is back and it is looking good. 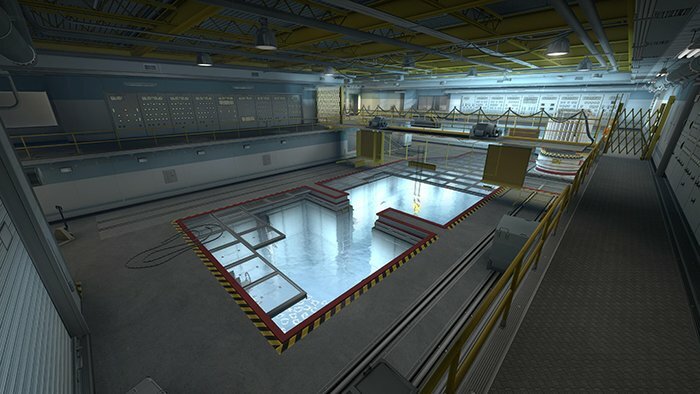 The classic map has been present throughout versions of Counter-Strike for over 15 years now, and the biggest change in Nuke’s newest rendition, now commonly referred to as Newke, is its visual upgrade. The old Nuke might’ve been the most dull looking nuclear facility imagined, but Newke might be the most colorful and visually captivating. Apart from the clear and obvious visual changes, there are also a few changes to the structure of the map, including the positioning of railings on the exterior of the building, the placement of the toxic room on the B bombsite, a new entrance onto the B site, the removal of one of the vent entrances on both sites, a change to upper part of the A site, and more. Drops, Cases, and the New Bowie Knife! It wouldn’t be a new operation without new skins, a new case, and a new set of knives. The new case that can be dropped, bought, and opened with keys is the aptly named Wildfire case. 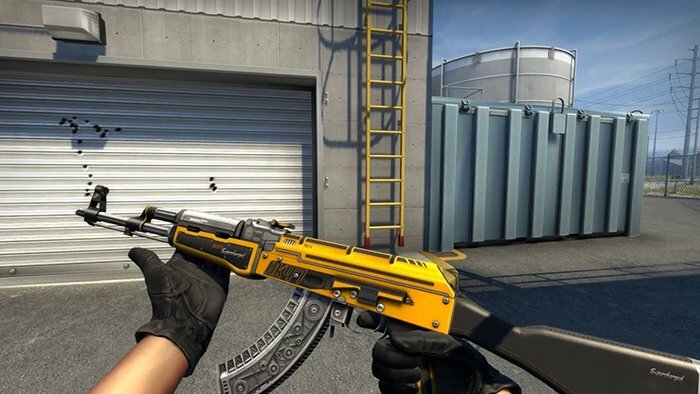 In the Wildfire case, the new Covert rifle skins are two brand new designs, the Fuel Injector design for the AK47 (shown below), and The Battlestar for the M4A4. There are three skins in the second highest rarity level, Classified, and two of them are former designs implemented onto new guns: the Hyper Beast Nova shotgun, and the Elite Build AWP. The third Classified skin is the new Kumicho Dragon skin for the Desert Eagle pistol. Additionally, the Bowie knife has debuted with a collection of different but already well known skin designs, including Crimson Web, Case Hardened, Fade, and many more. To qualify for Wildfire weapon drops and Wildfire case drops, you must purchase the $5.99 access pass. But you don’t need to purchase the pass to simply purchase these skins and cases from the community market. While you can play the new maps, including Newke, and purchase the new skins and knives and cases without purchasing the operation access pass, in order to participate in the campaigns or new Blitz missions, you must purchase the pass. If you do, you can participate in the Wildfire Campaign and the co-op Guardian Campaign. Each campaign can reward you with XP and potential weapon drops by completing missions, and given that you already own the access pass to even compete in these, those drops will come from the Wildfire collection. And as you earn XP to increase your profile rank, you earn more drops with each rankup. Additionally, there are Blitz missions, which are missions that everyone (above profile rank 3) can compete in, but only at certain times and for a limited time each. They’re similar to heroic events in games like MMOs, and rewards all who participate in them. It comes down to whether or not you want to pony up $6 for the pass. If you don’t pay for the pass, you can still enjoy all of the new maps in competitive mode, casual, and deathmatch. You can also go onto the community market and just buy the skins you want. But if you want the chance to earn drops and skins from the new collection, and you want to participate in the new missions, then buying the pass is a must. If you’re looking to spice up your competitive games, then I suggest queuing up for some games with the new maps. Not only do you get to support the mapmakers, but you’ll get to experience the new maps with other players for the first time as well, meaning it’ll come down to skill and luck rather than who simply knows the map better. Additionally, if you have friends who have wanted to get into the game, but don’t want to go through the grinding it takes to get up to profile rank 3, which is required to play competitively, then I would strongly recommend the access pass for them, as the campaign missions reward a lot more XP than just doing typical deathmatches, casual games, and arms races (CS:GO’s version of the gun game). But most importantly, it’s up to you, the player, to decide how to enjoy all the new features of Operation Wildfire. Good luck, have fun, and happy chicken hunting.